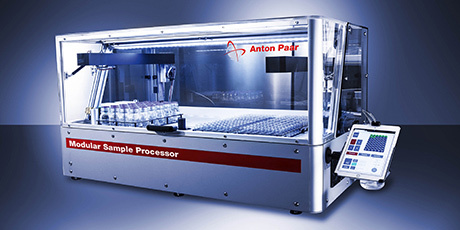 High throughput, workflow optimization and innovative automation paired with reliable and accurate measurement results: Team up with Anton Paar for laboratory automation from the same source that provides your instruments and measuring systems – from the idea and development to production and implementation employing high-end laboratory robotics. 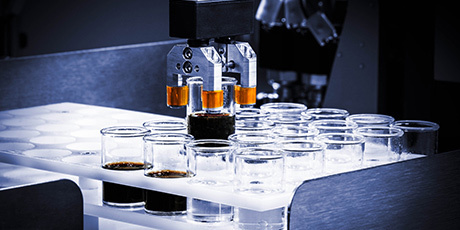 Benefit from our longstanding expertise in developing and producing both measuring instruments and automation and robotics systems, combining these into all-in-one solutions for defined workflows or single automation modules for specific laboratory steps. 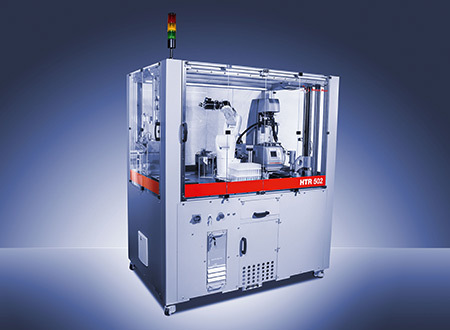 You minimize the risks of human error, save valuable working time and eliminate potential hazards to the operator. 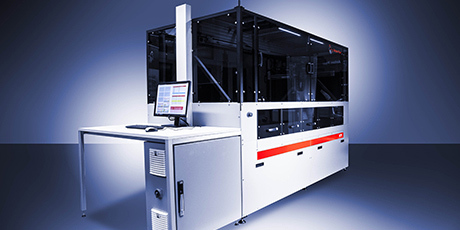 Our Modular Sample Processor facilitates automated sample preparation steps prior to analysis. 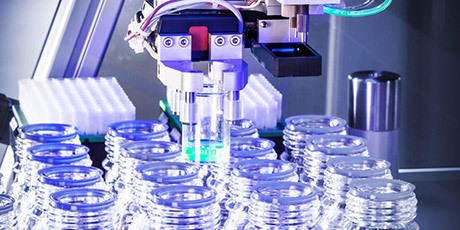 Tedious manual tasks like pipetting, sampling, dosing and weighing are easily automated for a wide range of volumes and various different sample types, including petrochemicals, chemicals, home care and environmental products as well as pharmaceuticals. 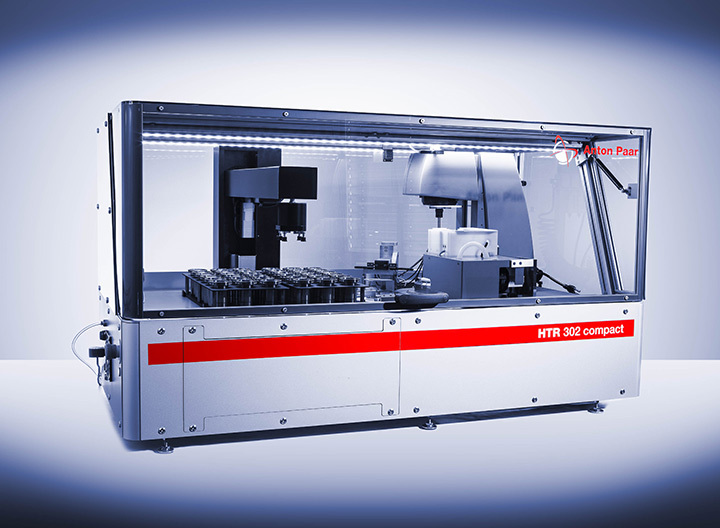 A comparison with manual and semi-automatic procedures shows that laboratory automation solutions based on Anton Paar’s HTX Platform reduce the cost per analysis by up to 66%. 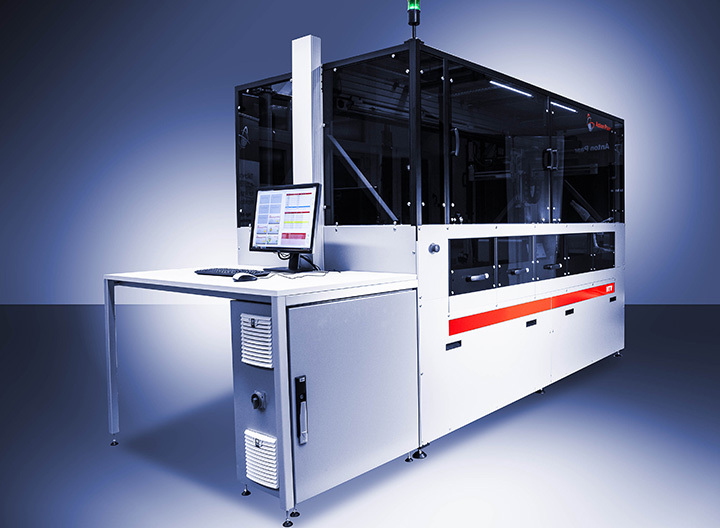 This ensures a maximum return of your invest and the maximum utilization of your laboratory infrastructure. 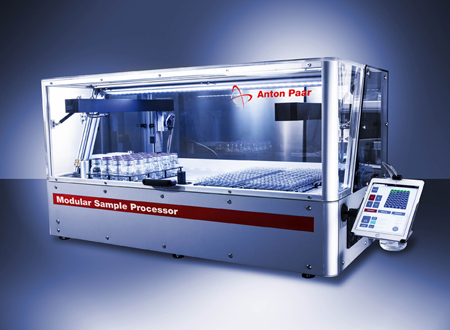 Anton Paar’s automated solutions are designed to disable any interruption of the complete workflow and workload. If one module needs to be maintained, the others take over the work. 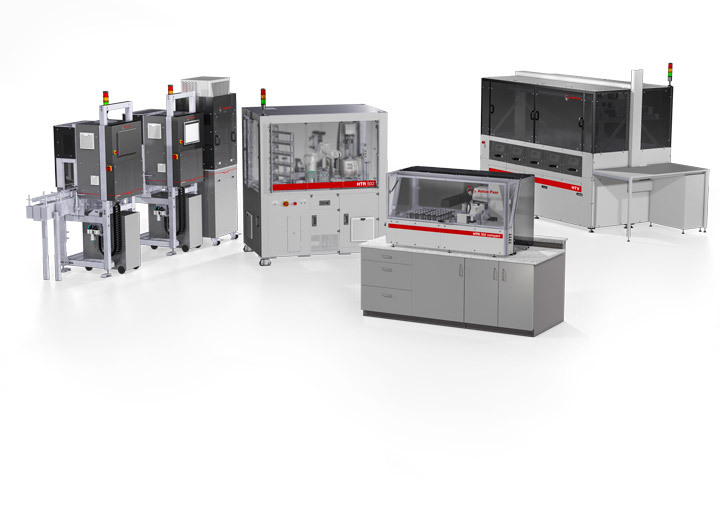 Only state-of-the-art robotics and control equipment go into our solutions to ensure a maximum uptime and ten years of spare part availability. 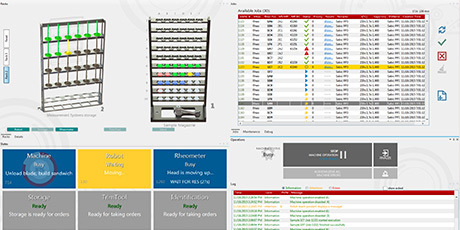 The Anton Paar control software manages and controls the entire workflow and is an attractively designed, intuitive user interface for your operators. 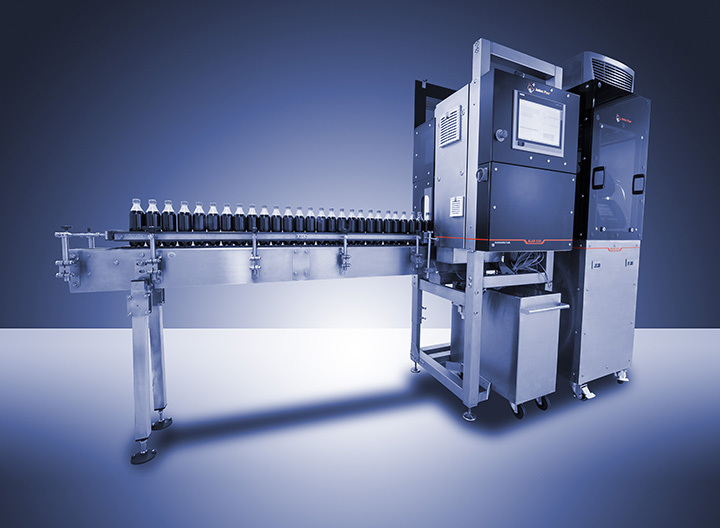 PROFINET and Ethernet are used for communication with your laboratory IT system.